DAVID LE/Staff photo. 4/17/15. 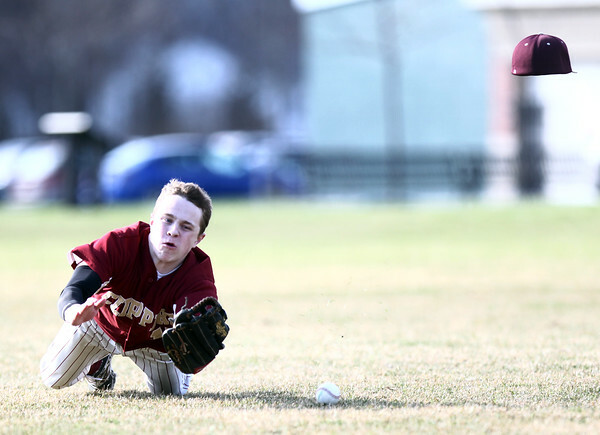 Newburyport right fielder Reilly Brown looses his hat while making an all-out diving attempt to snag a short pop-up, but the ball fell just past his outstretched glove.